Bentley, A. (2018). Equine Facilitated Psychotherapy: From a neuropsychoanalytic perspective, how can the horse-human bond assist the repair of early relational trauma that has lead to insecure attachment? A hermeneutic literature review (Doctoral dissertation, Auckland University of Technology). Binfet, J. T., Silas, H. J., Longfellow, S. W., & Widmaier-Waurechen, K. (2018). When Veterinarians Support Canine Therapy: Bidirectional Benefits for Clinics and Therapy Programs. Veterinary sciences, 5(1), 2. Bould, E., Bigby, C., Bennett, P. C., & Howell, T. J. (2018). ‘More people talk to you when you have a dog’–dogs as catalysts for social inclusion of people with intellectual disabilities. Journal of Intellectual Disability Research. Bould, E., Bigby, C., Bennett, P., & Howell, T. Dogs as catalysts for community participation of people with intellectual disability. Bremhorst, A., Mongillo, P., Howell, T., & Marinelli, L. (2018). Spotlight on Assistance Dogs-Legislation, Welfare and Research. Animals: an open access journal from MDPI, 8(8). Brooks, H. L., Rushton, K., Lovell, K., Bee, P., Walker, L., Grant, L., & Rogers, A. (2018). The power of support from companion animals for people living with mental health problems: a systematic review and narrative synthesis of the evidence. BMC psychiatry, 18(1), 31. Cable, A., & Pulcini, B. (2018). Therapy Dog Handler Perspectives on Animal-assisted Therapy with Children (Doctoral dissertation, Utica College). Casey, J., Csiernik, R., Knezevic, D., & Ebear, J. (2018). The Impact of Animal-Assisted Intervention on Staff in a Seniors Residential Care Facility. International Journal of Mental Health and Addiction, 16(5), 1238-1248. Catala, A., Cousillas, H., Hausberger, M., & Grandgeorge, M. (2018). Dog alerting and/or responding to epileptic seizures: A scoping review. PloS one, 13(12), e0208280. Coghlan, S., Waycott, J., Neves, B. B., & Vetere, F. (2018, December). Using robot pets instead of companion animals for older people: a case of ‘reinventing the wheel’?. In Proceedings of the 30th Australian Conference on Computer-Human Interaction (pp. 172-183). ACM. da Costa, M. P., Gato, F., & Rodrigues, M. N. (2018). Use of animal-assisted therapy as a tool in the treatment of human diseases. PUBVET, 12(1), 1-7. Denzer-Weiler, C., & Hreha, K. (2018). The use of animal-assisted therapy in combination with physical therapy in an inpatient rehabilitation facility: A case report. Complementary Therapies in Clinical Practice, 32, 139-144. Ein, N., Li, L., & Vickers, K. (2018). The effect of pet therapy on the physiological and subjective stress response: A meta‐analysis. Stress and Health. Fine, A. H., & Weaver, S. J. (2018). The human–animal bond and animal-assisted intervention. Oxford Textbook of Nature and Public Health: The Role of Nature in Improving the Health of a Population, 132. Flynn, E., Roguski, J., Wolf, J., Trujillo, K., Tedeschi, P., & Morris, K. N. (2018). A Randomized Controlled Trial of Animal-Assisted Therapy as an Adjunct to Intensive Family Preservation Services. Child Maltreatment, 1077559518817678. Gundersen, E. D., & Johannessen, B. (2018). What motivates arrangements of dog visits in nursing homes? Experiences by dog handlers and nurses. Complementary Therapies in Clinical Practice. Hall, D. (2018). Nursing Campus Therapy Dog: A Pilot Study. Teaching and Learning in Nursing, 13(4), 202-206. Hartwig, E. K., & Smelser, Q. K. (2018). Practitioner Perspectives on Animal-Assisted Counseling. Journal of Mental Health Counseling, 40(1), 43-57. House, L. A., Neal, C., & Backels, K. (2018). A Doggone Way to Reduce Stress: An Animal Assisted Intervention with College Students. College Student Journal, 52(2), 199-204. Humby, L., & Barclay, E. (2018). Pawsitive Solutions: An Overview of Prison Dog Programs in Australia. The Prison Journal, 0032885518793951. Johnson, R. A., Albright, D. L., Marzolf, J. R., Bibbo, J. L., Yaglom, H. D., Crowder, S. M., … & Osterlind, S. (2018). Effects of therapeutic horseback riding on post-traumatic stress disorder in military veterans. Military Medical Research, 5(1), 3. Jones, M. G., Rice, S. M., & Cotton, S. M. (2018). Who let the dogs out? Therapy dogs in clinical practice. Australasian Psychiatry, 1039856217749056. Jormfeldt, H., & Carlsson, I. M. (2018). Equine-Assisted Therapeutic Interventions Among Individuals Diagnosed with Schizophrenia. A Systematic Review. Issues in mental health nursing, 1-9. Krause-Parello, C. A. (2018). Human-Animal Connections and Nursing Science: What Is the Relationship?. Nursing science quarterly, 31(3), 239-242. Lacambra Medina, C. (2018). Attention to diversity through Animal-Assisted Therapies. A new methodological tool to attend children with special needs. Leng, M., Liu, P., Zhang, P., Hu, M., Zhou, H., Li, G., … & Chen, L. (2018). Pet Robot Intervention for people with dementia: A systematic review and meta-analysis of randomized controlled trials. Psychiatry Research. Lund, K., & Williams, B. A Puppy’s Touch: Destressing with Dogs in a University Environment. Malinowski, K., Yee, C., Tevlin, J. M., Birks, E. K., Durando, M. M., Pournajafi-Nazarloo, H., … & McKeever, K. H. (2018). The Effects of Equine Assisted Activities Therapy on Plasma Cortisol and Oxytocin Concentrations and Heart Rate Variability in Horses and Measures of Symptoms of Post-Traumatic Stress Disorder in Veterans. Journal of Equine Veterinary Science. Merkies, K., McKechnie, M. J., & Zakrajsek, E. (2018). Behavioural and physiological responses of therapy horses to mentally traumatized humans. Applied Animal Behaviour Science. Mervin, M. C., Moyle, W., Jones, C., Murfield, J., Draper, B., Beattie, E., … & Thalib, L. (2018). The Cost-Effectiveness of Using PARO, a Therapeutic Robotic Seal, to Reduce Agitation and Medication Use in Dementia: Findings from a Cluster–Randomized Controlled Trial. Journal of the American Medical Directors Association. Meyer, L., & Sartori, A. (2018). Attachment Theory and Equine-Facilitated Psychotherapy for Vietnam Veterans. Society & Animals. Papastergiou1136, M. D., Pareja, E. F. H., & Gea, E. V. ANIMAL ASSISTED PSYCHOEDUCATIONAL INTERVENTION: STUDY OF ITS EFFECTS IN SPECIAL EDUCATION. THE EDUCATION AT THE CROSSROADS-CONDITIONS, CHALLENGES, SOLUTIONS AND PERSPECTIVES, 258. Peluso, S., De Rosa, A., De Lucia, N., Antenora, A., Illario, M., Esposito, M., & De Michele, G. (2018). Animal-Assisted Therapy in Elderly Patients: Evidence and Controversies in Dementia and Psychiatric Disorders and Future Perspectives in Other Neurological Diseases. Journal of geriatric psychiatry and neurology, 0891988718774634. Pereira, J. M., & Fonte, D. (2018). Pets enhance antidepressant pharmacotherapy effects in patients with treatment resistant major depressive disorder. Journal of psychiatric research. Pluta, M., & Kędzierski, W. (2018). Emotional Responses of Horses to Patients Requiring Therapy. Society & Animals. Policay, R., & Falconier, M. Therapy Dogs in Couple and Family Therapy: A Therapist’s Perspective. Contemporary Family Therapy, 1-13. Powalski, C. M. (2018). Equine Assisted Psychotherapy: A Transformational Path to Emotional Wellness for US (Doctoral dissertation, Brandman University). Rodrigueza, K. E., Bryceb, C. I., Grangerc, D. A., & Haire, M. E. The effect of a service dog on salivary cortisol awakening response in a military population with posttraumatic stress disorder (PTSD). Schenk, G., Duindam, H. M., Creemers, H. E., Hoeve, M., Stams, G. J. J., & Asscher, J. J. (2018). The effectiveness of Dutch Cell Dogs in correctional facilities in the Netherlands: a study protocol of a quasi-experimental trial. BMC psychiatry, 18(1), 218. Shen, R. Z., Xion, P., & Chou, U. I. (2018). “We need them as much as they need us”: A systematic review of the qualitative evidence for possible mechanisms of effectiveness of Animal-Assisted Intervention (AAI) in participants’ overall conditions. Complementary Therapies in Medicine. Sloan-Oberdier, S. M. (2018). WORKING ALONGSIDE A THERAPY DOG: A PHENOMENOLOGICAL STUDY OF SCHOOL COUNSELORS’EXPERIENCES (Doctoral dissertation, Kent State University). Spattini, L., Mattei, G., Raisi, F., Ferrari, S., Pingani, L., & Galeazzi, G. M. (2018). Efficacy of animal assisted therapy on people with mental disorders: an update on the evidence. Minerva Psichiatrica, 59(1), 54-66. Templin, J. C., Hediger, K., Wagner, C., & Lang, U. E. (2018). Relationship Between Patient Satisfaction and the Presence of Cats in Psychiatric Wards. The Journal of Alternative and Complementary Medicine. Thomas, A. J. (2018). Examining the Effects of Animal Assisted Interventions on Therapeutic Alliance and Anxiety (Doctoral dissertation, Western Carolina University). Turner, M. J. (2018). Horses in Therapy: The Practice of Equine Facilitated Psychotherapy. Valiyamattam, G., Yamamoto, M., Fanucchi, L., & Wang, F. Multicultural Considerations in Animal-Assisted Intervention. Human-Animal Interaction Bulletin 2018, Vol. 6, Special Edition, 82-104. Waid Higgins, A. (2018). 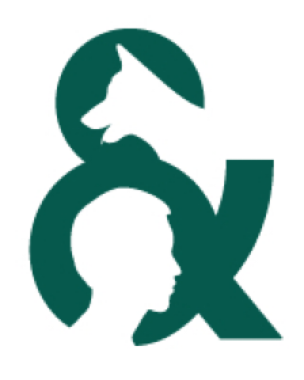 The Effects of Animal-Assisted Therapy in Older Adults with Dementia. Waite, T. C., Hamilton, L., & O’Brien, W. (2018). A meta-analysis of Animal Assisted Interventions targeting pain, anxiety and distress in medical settings. Complementary Therapies in Clinical Practice. Walker, P., & Tumilty, E. (2018). Developing Ethical Frameworks in Animal-Assisted Social Service Delivery in Aotearoa New Zealand. The British Journal of Social Work. Walsh, D., Yamamoto, M., Willits, N. H., & Hart, L. A. (2018). Job-Related Stress in Forensic Interviewers of Children Who Use Therapy Dogs Compared with Facility Dogs or No Dogs. Frontiers in Veterinary Science, 5, 46. Wanser, S. H., & Udell, M. A. (2018). Does Attachment Security to a Human Handler Influence the Behavior of Dogs Who Engage in Animal Assisted Activities?. Applied Animal Behaviour Science. Ward‐Griffin, E., Klaiber, P., Collins, H. K., Owens, R. L., Coren, S., & Chen, F. S. (2018). Petting away pre‐exam stress: The effect of therapy dog sessions on student well‐being. Stress and Health. Watson, E. (2018). Horse Use and Care in Therapeutic Horseback Riding Programs. Wijker, C., Spek, A. A., Leontjevas, R., Verheggen, T., & Enders-Slegers, M. J. (2017). The Effectiveness of Animal Assisted Therapy in Adults with Autism Spectrum Disorder: Study Protocol for a Randomized Controlled Trial. Autism-Open Access, 7(221), 2. Williams, C. L., Dagnan, E., Miner, K. M., & Sells, P. (2018). The Effect of an Animal-Assisted Intervention on Physiological Measures of Stress and Anxiety in Graduate Professional Physical Therapy Students. Open Access Library Journal, 5(02), 1. Williams, C., Emond, K., Maynord, K., Simpkins, J., Stumbo, A., & Terhaar, T. (2018). An Animal-Assisted Intervention’s Influence on Graduate Students’ Stress and Anxiety Prior to an Examination. Open Access Library Journal, 5(09), 1. Wortman, R. A., Vallone, T., Karnes, M., Walawander, C., Daly, D., & Fox-Garrity, B. (2018). Pinnipeds and PTSD: An Analysis of a Human-Animal Interaction Case Study Program for a Veteran. Occupational Therapy International, 2018.